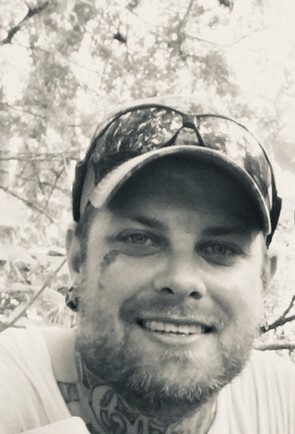 Visitation for Lance Neal, 32,of Fayetteville will be held Tuesday, January 29, 2019 from 5:00 p.m. until 7:00 p.m. in the Fayette Memorial Funeral Home Chapel. Funeral services are scheduled for Wednesday, January 30. 2019 at 10:00 a. m. in the Fayette Memorial Funeral Home Chapel. Lance was born to Janet Harris and Preston Neal on September 30,1986 in Austin, Texas. Lance loved to shoot pool, and enjoyed hunting and training horses. His greatest loves were his children and the Roznov farm. He is survived by his Mother Janet Enderle and her husband Barry of Galveston, his father; Preston Neal of Mississippi. 1 Daughter Kiah Abshire and 1 son Jackson Abshire and their mother, Reanna Abshire, all of Dickinson, Texas/ 1 Brother D’Wayne Neal and his wife, Emily of Mississippi. 1 Sister, Dawn Wagnon, and her husband, John of Bastrop. 2 Step-Brothers; Dustin Enderle, and his wife Desirae, of Katy and Evan Enderle and his wife Eleanor of Missouri City, Texas. 1 Uncle; Dale Harris of Fayetteville, Texas, and numerous nieces and nephews. He is preceded in death by his Paternal grandparents Preston and Bessie Neal and Maternal grandparents Harold and Margaret Harris. Family suggest memorial donations be made to Second Chance 851 Reynolds St. La Grange, Texas 78945 and Gardenia Janssen Animal Shelter 240 Svoboda Lane La Grange, Texas 78945.